Intensive Farming Supplies Australia are the exclusive Australian and New Zealand suppliers for MAINO Incubators. MAINO Incubators have been manufactured to stringent standards to ensure the products are reliable, durable and precise. A forced fan air circulation is a standard feature of all MAINO Incubators. This significantly enhances air distribution, humidity control and overall performance. Cost effective when compared to conventional cabinets. 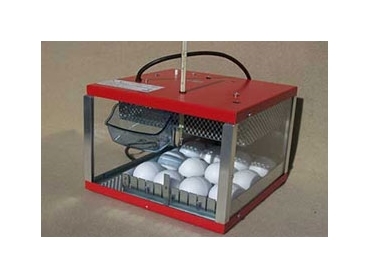 Intensive Farming Supplies Australia supplies a range of manual, semi automatic and fully automatic turning incubators MAINO Incubators from 12 to 200 hen egg capacity to 120,000 egg capacity.